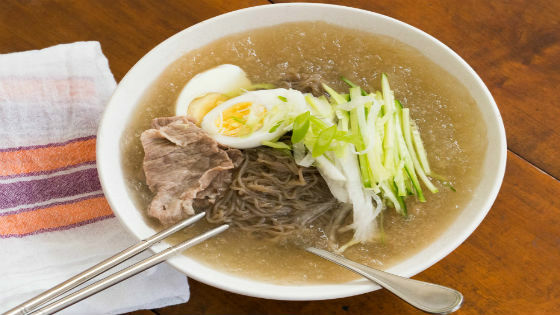 You are here:Home / Posts tagged "Chapchae"
Naeng myun (naengmyoen) is made out of cold, buckwheat noodles that is served in a flavourful, slightly sour broth and is topped with vegetables, egg, and sometimes even meat. 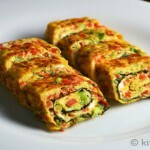 This is very easy to prepare considering that this noodle dish is considered as a one-bowl meal. And given that this is a cold noodle dish, this comfort food is just your delicious companion during the sweltering summertime. 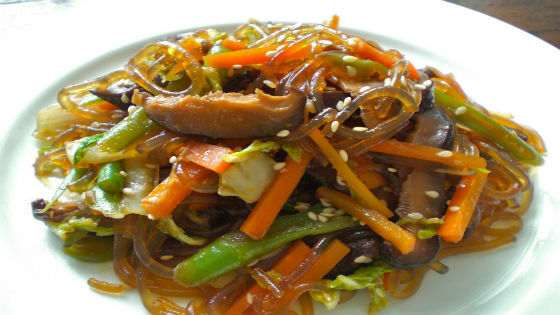 One of our personal favourite banchans is chapchae. What is there to not like about this noodle dish? Korean glass noodles that are stir-fried to perfection plus some generous serving of pork and vegetables tossed in? 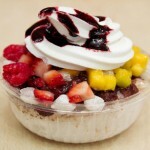 Oh, this is just too mouth-watering. Fortunately, making chapchae right at the comforts of your own home won’t even take away a significant chunk of your time given that its main ingredients are easy to find. 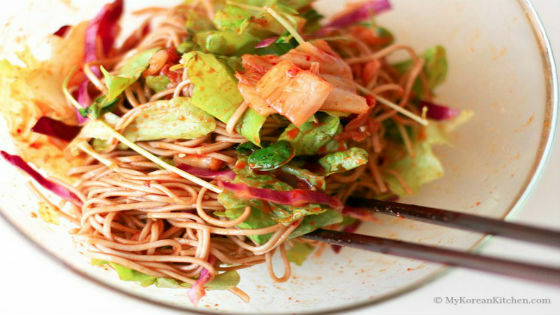 This cold noodle dish is another great comfort food that is perfect for the hot months. 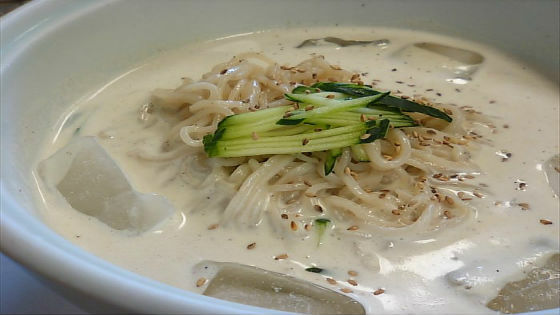 Not only is this noodle dish very easy to prepare (even amateur cooks can whip up an amazing version of kong gooksu), this is also very filling and nutritious that is just popular among the vegans. We bet that you’ll fall in love with this noodles’ nutty texture as soon as you get to taste it. If you want a noodle version of one of Korea’s national dishes, bibimbap, then Bibim Gooksu is the one you’re looking for. This cold noodle dish just has the right amount of spice to please your palate as it indulges on a filling serving of noodles, egg, seasoned vegetables and meat of your choice. 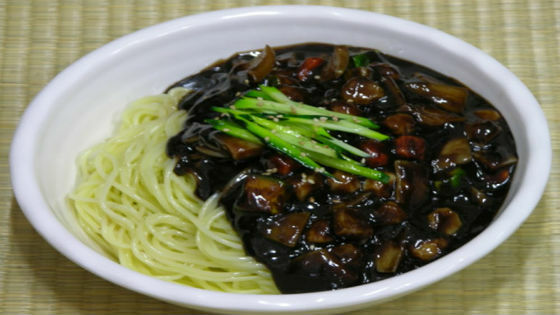 If there’s one highly popular noodle dish in Korea that should not escape your sensibilities, then that would have to be jajangmyun. This noodle dish is Korea’s answer to the black bean noodle dish of China and is also one of those dishes that perfectly combine the sweetness and tangy taste of its ingredients. This dish is generally cheap yet filling that’s why it’s very common for Koreans to have jajangmyun as a takeout meal. This list does not cover a ton of other awesome Korean noodle dishes out there. What are your Korean noodle dish favourites? Post them all in the comments section below. And if you’re wishing to celebrate a memorable occasion, then why not host a Korean BBQ party? 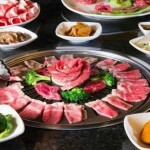 Korean BBQ Online will deliver to you all the meats, sides and equipment that you need for you to have your own unforgettable Korean BBQ feast. Contact us today and see how we can help!